I used to think that scones were on the other side of that line between me and old people food; right up there with liver and onions. But then I tried a good scone and my attitude completely changed. There are a lot of bad scones out there. Or maybe I just got old. 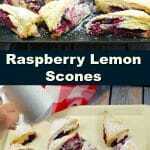 Either way, this recipe for raspberry lemon scones is worth crossing over that line. 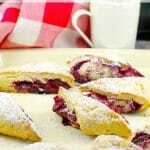 Scones are said to have originated in Scotland sometime in the 1500’s. I’m not going to bore you with any more history than that. 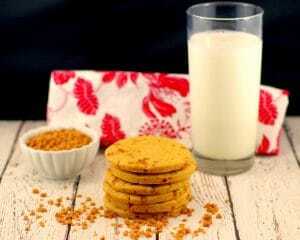 They have been around for a long time and there are reasons that foods stick around that long! It usually means they are good. 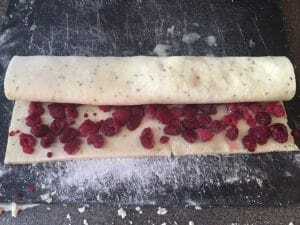 Raspberries are pretty delicate and tend to become messy in baking prep, so using frozen raspberries is sheer brilliance. You could also use another frozen berry if you prefer. 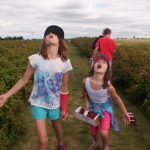 On our recent family visit to Winnipeg, Manitoba we decided to do some berry picking. 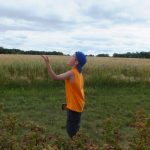 Although we were hoping to pick Saskatoons, they were early this year and sadly, we just missed them. 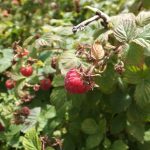 So, we did the next best thing and picked the fruit that was in season-raspberries. You can’t go wrong with raspberries! 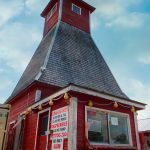 We hit Boonstra berry farms just outside of town. 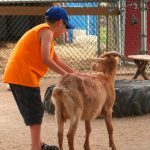 What a great place to take your kids – so much fun! 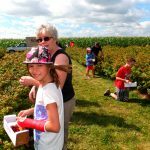 An afternoon of berry picking is the perfect family activity and everyone from young to old can participate. 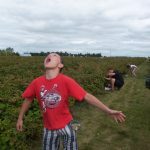 There was a time when berry picking was a lousy chore forced upon kids by their parents. But nowadays we take our kids to do this as an activity and we pay someone to let us do it. 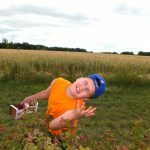 Trying to land berries in your mouth is almost as much fun as picking them! But the fun didn’t end there! 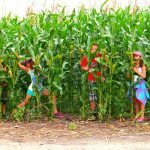 There was a corn maze, from which we actually managed to make it out alive (given it’s huge, there was no map and I’m navigationally challenged) and there was even a petting zoo with bunnies, kittens, goats and sheep. In the end, we came home with 5 boxes of raspberries . This doesn’t look like a lot, but trust me, it was! Because raspberries go mushy really fast, we froze them right away. TERRI’S TIP: Freeze your raspberries immediately after picking, as they go mushy really quickly. 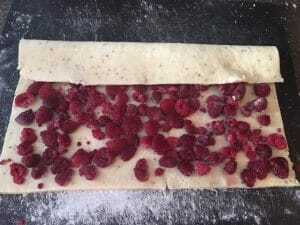 Lay parchment paper over cookie sheet and arrange berries in a single layer and freeze until solid. Once frozen, transfer them to a freezer bag. 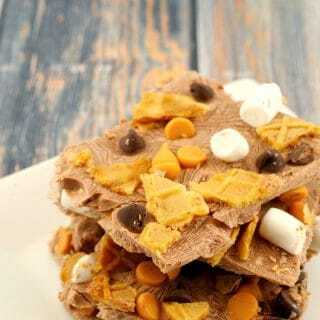 You can defrost them or just use them frozen in recipes (like this one) or have as a snack. They are great straight up and frozen and taste like (nature’s) candy. Baking these easy scones was, in a way, as much as an adventure as picking the berries for them. 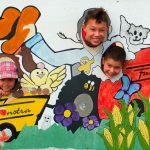 It’s challenging enough to cook in someone else’s kitchen, even when they have all the supplies you need. But it becomes that much more difficult when you have to improvise. 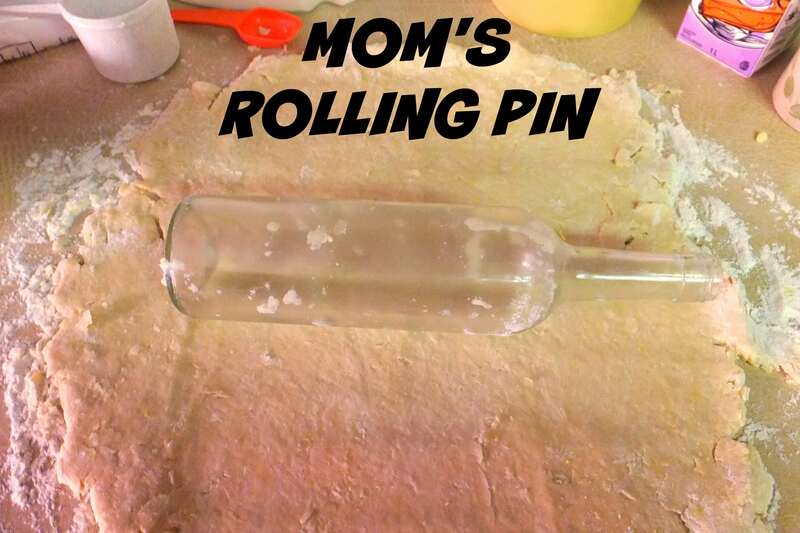 Seriously, this is what my Mom uses as a rolling pin these days! 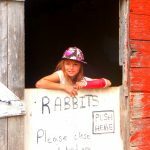 For those of you that know her, this will come as no surprise. I obviously I didn’t inherit the baking gene from this side of the pool. So I made them again and took new photos! 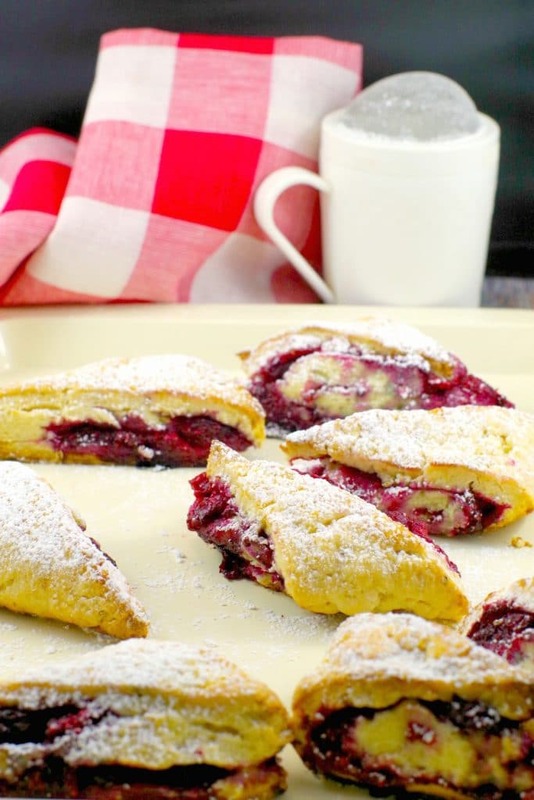 This raspberry scone recipe is perfect for taking to a breakfast or bunch potluck! I have made them for Mother’s Day Potlucks as well! 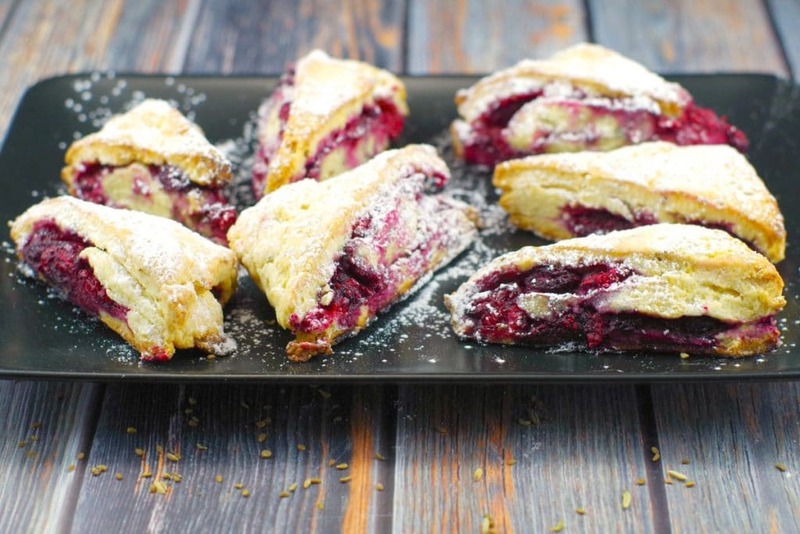 These tender and flaky raspberry lemon scones are made without buttermilk. 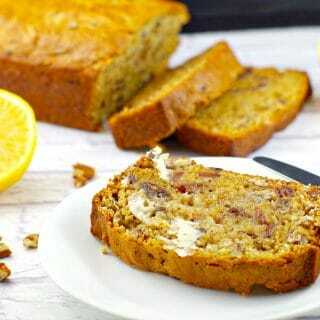 With a hint of licorice and the perfect balance of sweet and tart, they make a great breakfast or brunch dish and are wonderful for taking along to a potluck! Heat the oven to 400°F and arrange a rack in the middle. Line a baking sheet with parchment paper and set aside. Lightly flour a large plate; set aside. Combine the measured flour, 1/4 cup of the sugar, the baking powder, lemon zest, anise, fennel and salt in a large bowl and whisk to break up any lumps. Using a pastry blender, 2 knives or cheese grater (as in photo in notes below) and cut the butter into the flour mixture until small, pea-sized pieces remain. Pour in 3/4 cup of the cream and, using your finger, mix until just incorporated and a rough, slightly sticky mound has formed (not all of the flour will be incorporated). Turn the dough and loose flour out onto a work surface and knead until most of the flour is incorporated and the dough just holds together (be careful not to overwork it). Lightly flour a rolling pin and the work surface. Using your hands, roughly form the dough into a rectangle, keeping the long edge toward you. 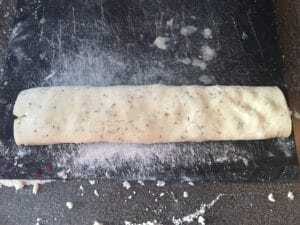 Roll the dough into an 8-by-10-inch rectangle (if the dough cracks, push it back together), again keeping the long edge toward you. 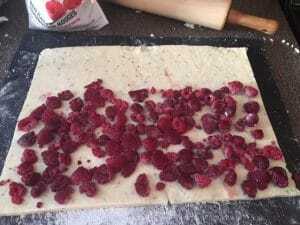 Remove the raspberries from the freezer, evenly arrange them in a single layer over the lower two-thirds of the rectangle, and press them into the dough (it’s OK if some break). Fold right over until seam is on the bottom. Use a spatula or pasty scraper if the dough sticks to the work surface). 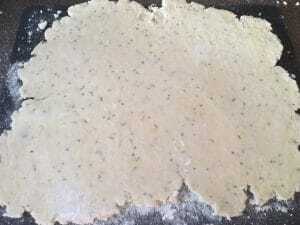 Slice the dough crosswise (do not saw back and forth) into 4 equal pieces. 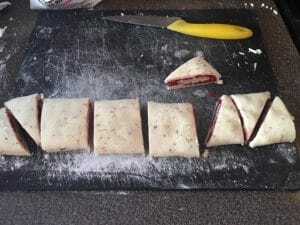 Cut each piece diagonally to form 2 triangles.Transfer the scones to the floured plate and place in the freezer for 5 minutes. Remove the scones from the freezer and transfer to the prepared baking sheet, setting them 2 inches apart. Brush a thin layer of the remaining 1 tablespoon whipping cream over the tops of the scones and sprinkle with the remaining 1 tablespoon sugar. Bake until golden brown on the top and bottom, about 20 minutes. Let cool 5 minutes on the baking sheet, then transfer to a wire rack to cool completely. I love the wine bottle rolling pin! Haha! Great tip about grating the frozen butter. I’ve never heard that and definitely seems like a way easier way to go. 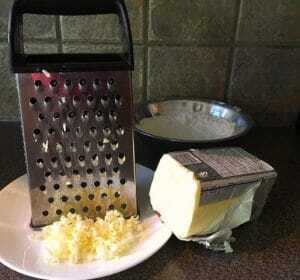 Sue, the grater was totally the easier way to go! And funny, but the wine bottle worked pretty well – not ideal, but it wasn’t as bad as I thought it would be! Thanks Ronit! Yes I wouldn’t typically use a bottle but I was at my Mom’s and that’s all she had. But that’s good to know- I never thought of that happening !